This essay has three subjects: the New York Times’s decision to cancel its national philanthropy beat, a tribute to Stephanie Strom, the Times reporter who finally created that beat, and thoughts about philanthropoids’ relationships with media, including advice about the importance of ground rules. In March, The New York Times decided to eliminate the national philanthropy beat it established ten years ago. The Times had assigned reporters to this beat at least twice before, but for whatever reason those assignments did not work out. The number of financial abuses and other illegal activities at nonprofits appears to be growing more prevalent and more brazen. . . . The sad truth is that the news media remain the only serious accountability mechanism America has to ensure the health and integrity of nonprofits. Neither the Internal Revenue Service nor the state attorneys general have the resources and the will . . . .
Also, the Times’s justification was truly lame. As quoted in the March 8 Chronicle, its spokesperson, Stephanie Yera, said that it would still cover, “philanthropy-related stores ‘across news desks.’” Of course, all the news desk stories so far have had a national politics handle. She also said, “Our culture and education desks are regularly churning out stories about philanthropy and nonprofits.” Equally, of course, the world of philanthropy is far, far broader than “culture and education,” and culture and education reporters rarely, if ever, do the investigative governance reporting that Strom did. Regrettable as the Times’s decision is, it provides an opportunity for me to pay tribute to Ms. Strom, who covered nonprofits with distinction for the last ten years. Philanthropoids (apologies to the late Dwight MacDonald) generally are inept in dealing with the media. The philanthropoid wants stories to reflect well on her or him and what their employer and they are doing. This wish is not limited to philanthropoids, but is aggravated by philanthropoids’ self-righteousness; “I’m doing good for insufficient reward, so I deserve to be favorably covered.” That attitude will get them nowhere. I have spent a good part of my private and public law practice career being covered by reporters as a named source or providing technical assistance to them off the record or on background. There are inherent difficulties in any relationship with media and manifold possibilities for misunderstanding. So the philanthropoid has three choices. He or she could not cooperate. This is a risky strategy, because one loses any opportunity to try to influence the story for the better and to start a constructive relationship with the reporter. But if one has never had any experience with the reporter, or worse, has reason not to trust the reporter, not cooperating is always the best choice. The second choice, particularly appropriate for a complex story, is to provide technical assistance. This requires mutual trust and acceptance of the Ernest K. Lindley Rules, about which there will be more later. The third choice is, in a variety of modes, to go on record. This also requires trust and an understanding of the Lindley Rules. At a symposium at the American Symphony Orchestra League (now the League of American Orchestras) held in October 2005, the Times’s Daniel L. Wakin asked, “Don’t you trust me?” Well, there are reporters that one can trust and reporters that one cannot. In the latter case, the first of my three choices is always the right choice. The story is going to be whatever the reporter has decided it will be, and not much, if anything, can be done about it, except make it a worse story. The other side of the coin is that if one decides on choice two or even choice three, the philanthropoid also has to be honest. There are two categories of people who should never be misled (not that anyone should ever be misled): legislators and reporters. They have to make too many decisions too fast on the basis of too little information. So, they rely on the honesty of their sources, often to an extraordinary degree. Lose their confidence, and it is lost forever. Also, never ever peach on one reporter’s story to another. I considered it my obligation, both in my positions with the Peace Corps and in the New York Law Department’s Charities Bureau and when representing public agencies in private practice, to respond to every call, letter or other communication, even if I could not say anything substantial. However, responding substantively is not always simple. What would Sargent Shriver or Eliot Spitzer say? Do I have to check first? So the philanthropoid must always be looking over her or his shoulder about what their bosses or colleagues will think. Press secretaries and press offices are worth a paragraph. They are always nervous about direct, unsupervised staff and reporter contact. Eliot Spitzer had a rule that all reporter inquiries had to go first through the press office. Reporters hated that. Eliot’s press chief was capable and professional. But otherwise reporters found his press office unresponsive and too often not capable of getting the story right. There was even one person in Eliot’s press office who appeared to my colleagues and to me to be, on his own, stimulating stories he thought his favorite reporters should cover and getting those stories wrong! Last, I am almost always in favor of choice two. 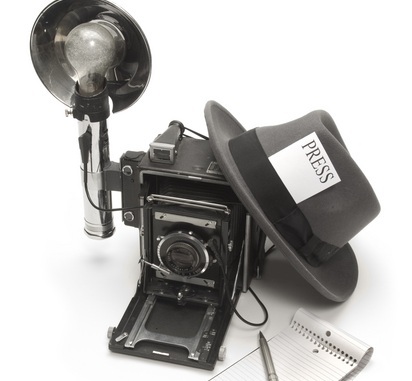 Reporters, especially those covering a complex story, need, on background, to get technical assistance. I have done this with countless reporters from The New York Times, The Boston Globe, The Wall Street Journal, The Washington Post, Bloomberg and The Chronicle of Philanthropy. This builds trust. Now, the Lindley rules. Their history and substance were described in a remarkable May 23, 2004 New York Times Sunday Magazine “On Language” column by the late William Safire. If I had copyright permission, I would reproduce it in full. I urge the reader to access it and read it. It is important to establish groundrules with the reporter first. If one does not, the reporter may properly feel free to report anything said, notwithstanding one’s too-late effort to establish ground rules. According to Safire, “off the record” was a Franklin D. Roosevelt innovation “that meant the information could not be used at all.” The reporter has knowledge but has to find another source. Like “off the record,” “background” is appropriate if one decides on the second choice. It is also called “not-for-attribution.” Information is imparted to the reporter to try to be helpful, but on condition that it not be specifically sourced to a named person. “Deep background” is “a rule of no attribution . . . thus differing from the usual ‘background rule’ permitting attribution [for example] to ‘official sources.’” But the reporter can report the information unsourced. Needless to say—that is, it is very important to say what is about to be said—not everybody, sources and reporters alike, know these rules. This is another reason why establishing the groundrules in advance is so important. If one does not, everything is on the record. William Josephson is a retired partner of Fried, Frank, Harris, Shriver & Jacobson, LLP. He was founding counsel of the Peace Corps, 1961-66, and Attorney General-in-Charge, New York State Law Department Charities Bureau, 1999-2004.